The Prague Shooting Trips on offer are probably our most popular requested activities. This is a one off chance to learn how to shoot these powerful weapons. We have again this year been awarded a Certificate of Excellence by Tripadvisor with over 500 five star reviews! The instructors all speak English and safety is priority, but full training will be given beforehand. Included is transport to and from the venue, and a sandwich and drink after the event. Each group will take part in a competitive Prague Shooting session and so scores will be counted at the end and the winning total will receive a diploma. M16 assault rifle (with infrared sight). Scorpion Evo sub machine gun. Also on the day there will be a chance to buy extra bullets and weapons that are not listed. 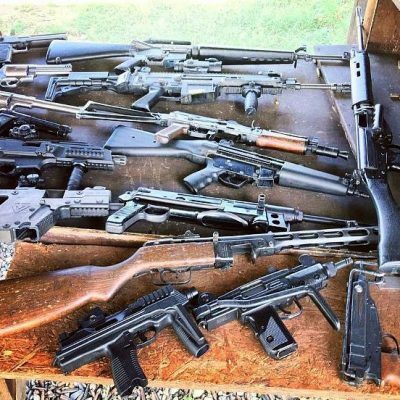 These include World War 2 weapons and the Desert Eagle and the (Dirty Harry .44 Magnum) and many more. Booking is easy and we only require a small deposit for groups over four people. This deposit can be paid by credit or debit card on our secure payment page. We will send you a link to the page in your full itinerary when you instruct us to book. The balance payment can be collected on pick up for the shooting activity. We can be contacted by either the BOOKING ENQUIRY FORM or EMAIL or by telephone and our staff will reply as quick as possible. You can find these contacts at the end of each section. AK47 Kalashnikov shooting in Prague (full list). 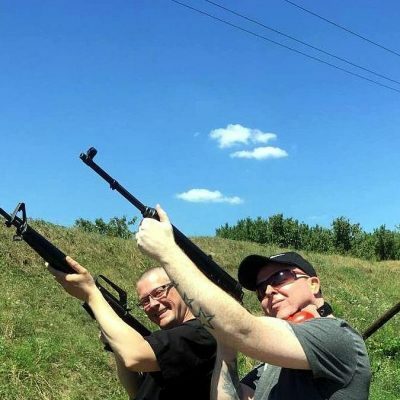 This is an overview of all the Prague Shooting Trips we offer at the Kalashnikov range. We have six trip offers with weapons ranging from three to eight weapons in the offers. Prices from: 1623 CZK / 60 Euro per person depending on group size and trip choice. Shooting in Prague Trip A – 3 weapons. This includes the M16 (with infrared sight), the police issue Glock pistol and the always popular Pump Action Shotgun. Prices from: 1623 CZK / 60 Euro per person depending on group size. 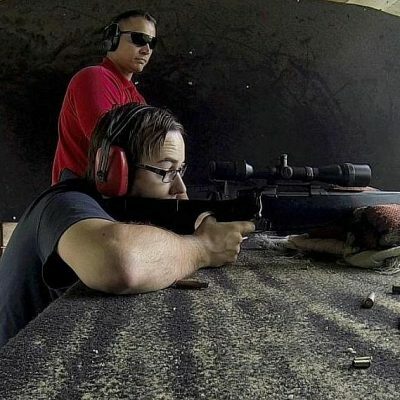 In Shooting Clubs in Prague Trip B – 4 weapons you will shoot some famous weapons. The AK47 Kalashnikov, M16 Assault Rifle (with infrared sight), Pump Action Shotgun and the powerful Dragunov Sniper Rifle. Prices from: 2123 CZK / 79 Euro per person depending on group size. 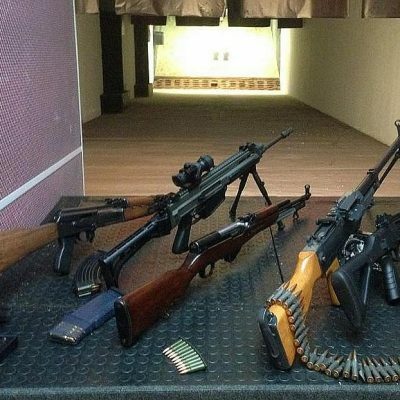 This AK47 Rifle Range in Prague Trip C – 5 weapons offer is a good selection. Includes the famous AK47 Kalashnikov, M16 Assault Rifle (with infrared sight). Also the (dirty Harry) Magnum .357, Scorpion Evo sub machine gun, and the powerful Dragunov Sniper Rifle. Prices from: 2713 CZK / 100.50 Euro per person depending on group size. This Weapon Shooting in Prague Trip D – 6 weapons program is quite an in depth experience. 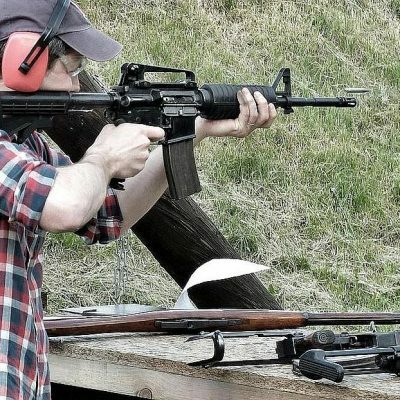 You will shoot the famous AK47 Kalashnikov, M16 Assault Rifle (with infrared sight). Also the (dirty Harry) Magnum .357, police issue Glock pistol, UZI submachine gun and the popular powerful Dragunov Sniper Rifle. Prices from: 2773 CZK / 103 Euro per person depending on group size. 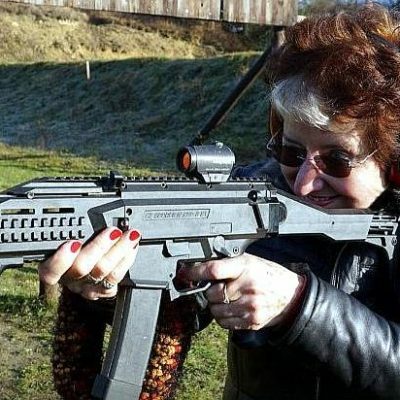 Prague Shooting Ranges Trip E – 7 weapons offer is almost our top offer. Includes the famous AK47 Kalashnikov, M16 Assault Rifle (with infrared sight) and Scorpion Evo sub machine gun. Also the UZI sub machine gun, police issue Glock pistol, semi-automatic Saiga Shotgun and the powerful Dragunov Sniper Rifle. Prices from: 2913 CZK / 108 Euro per person depending on group size. 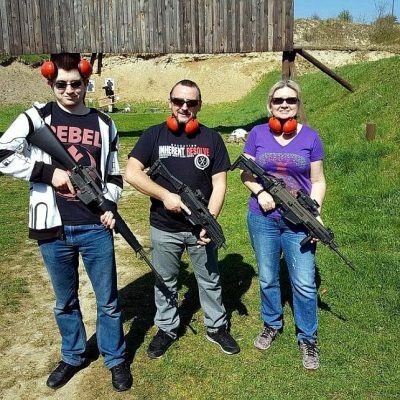 Real Gun Shooting in Prague Trip F – 8 weapons, the top Shooting Trips offer. Eight weapons including the famous AK47 Kalashnikov, M16 Assault Rifle (with infrared sight) and Scorpion Evo sub machine gun. Also the (dirty Harry) Magnum .357, police issue Glock pistol and UZI sub machine gun. And finally the Pump Action Shotgun and the powerful Dragunov Sniper Rifle. Prices from: 3073 CZK / 114 Euro per person depending on group size. The Indoor Shooting in Prague consists of five trip offers, with a mix of weapons in each trip. The weapons available are the Glock, Magnum, Scorpion, M16, AK47, Bren, Sniper rifle, Uzi and the Pump action shotgun. Prices from: 2217 CZK / 82 Euro per person depending on group size. 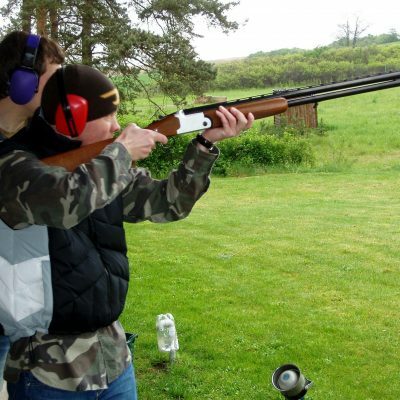 Try this very competitive Clay Pigeon Shooting in Prague offer. You will have fifty shots at twenty five moving clay pigeons. It is great fun and is a competition. 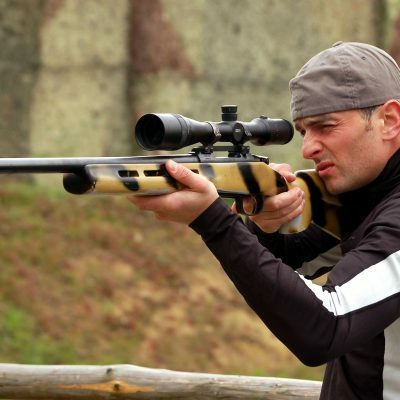 The ex – Olympic shooting marksman might be your instructor and will show you how. Prices from: 2034 CZK / 75 Euro per person depending on group size.